Automated Chevy Volts will transport GM employees in Michigan by 2017, the company says. General Motors will begin testing a fleet of driverless Chevy Volts at its sprawling Michigan campus next year. GM made the announcement Thursday, and it's one of numerous initiatives it hopes will steer the auto giant away from the recall scandal that shook the company this year. Its stock is down more than 12% since January. GM (GM) has been touting its driverless car plans for more than a year, harping on the safety advantages of eliminating human error. 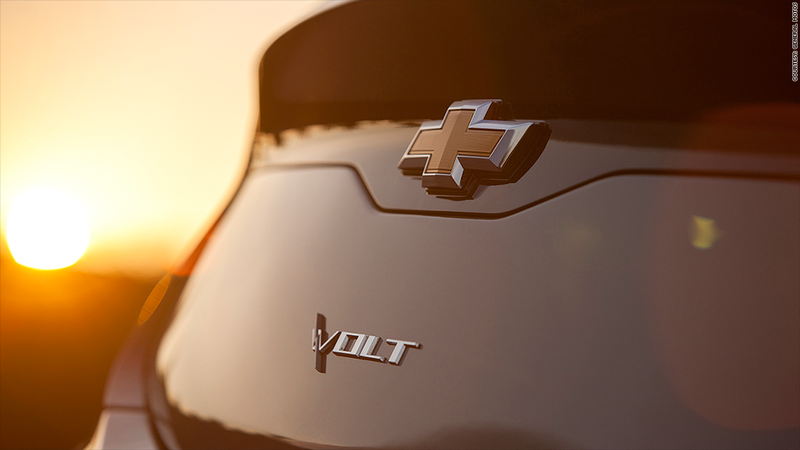 On Thursday, it announced plans to begin testing a fleet of autonomous Chevrolet Volts by the end of 2016. The Volts are destined for the company's campus in Warren, Michigan, where they'll shuttle GM employees around and give engineers a chance to study and improve the cars. The announcement was made at an investor conference Thursday where the company also mapped out new financial plans. They include investing $5 billion over five years in its Chevrolet brand, introducing new Cadillac models, upping sales in China, and expanding its financing services. The company said it also plans to cut costs, saving $5.5 billion over the next three years. "[T]he company expects to increase its earnings per share and generate significant shareholder value," the company said in a statement. GM also said it is working with Honda to put a fuel cell-powered car on the market by 2020, and it's looking into using the technology in other industries, like aerospace and defense. Fuel cells can provide a zero-emissions power source, but are currently far more expensive than gas and electric engines. Other initiatives announced Thursday included testing a ride sharing service in the vein of Uber pool or Lyft Line and an electric bike program.